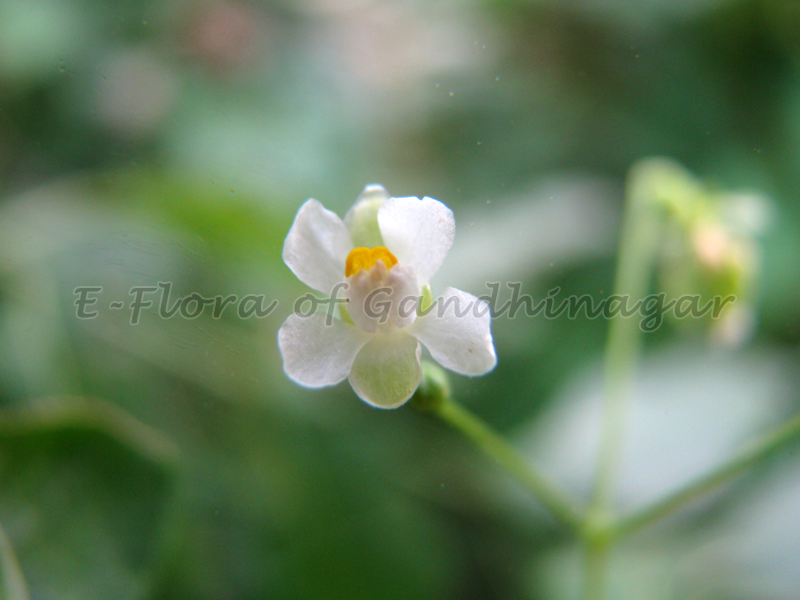 Botanical Name : Cardiospermum halicacabum L.
Habit : Annual and perennial, slender and beautifully delicate climber- with flower-peduncle tendrils. 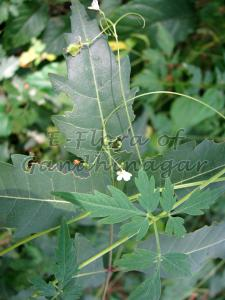 Leaves : Twice ternate, segments lanceolate, serrate, acute. White in few flowered umbellate cyme, peduncles slender, stiff, axillary provided beneath the cyme with 2, opposite, circinate tendrils. Sepals 4, imbricate, outer smaller, inner larger. Petals 4, rounded at apex. Stamens 8, excentric, filaments unequal. Ovary 3-celled, style very short, trifid. Fruit : Capsule membranous, trigonous, 3-celled, stalked truncate at top, winged at angles, bladdery, veined. 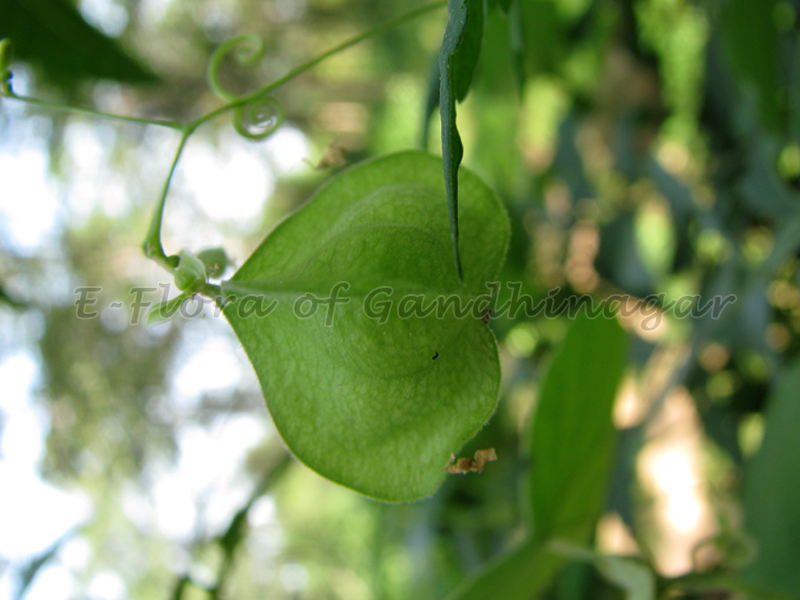 Seeds : Rounded, smooth, black, with a small, white, heart-shaped aril. Common hedge plant and in gardens everywhere. 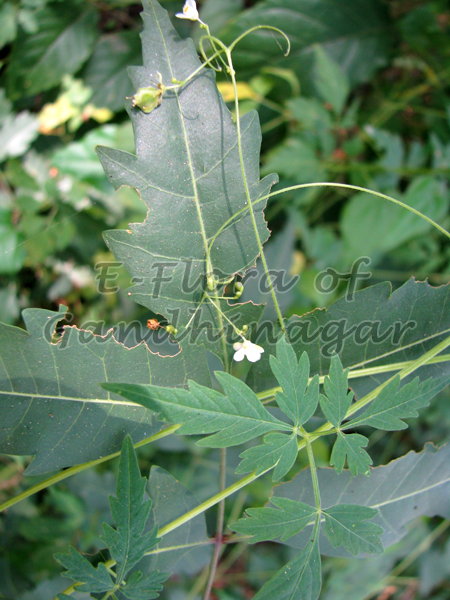 The leaves, roots and seeds used in medicine, for lung diseases, rheumatism and stiffness of the limbs. It cures earache and eyesore.